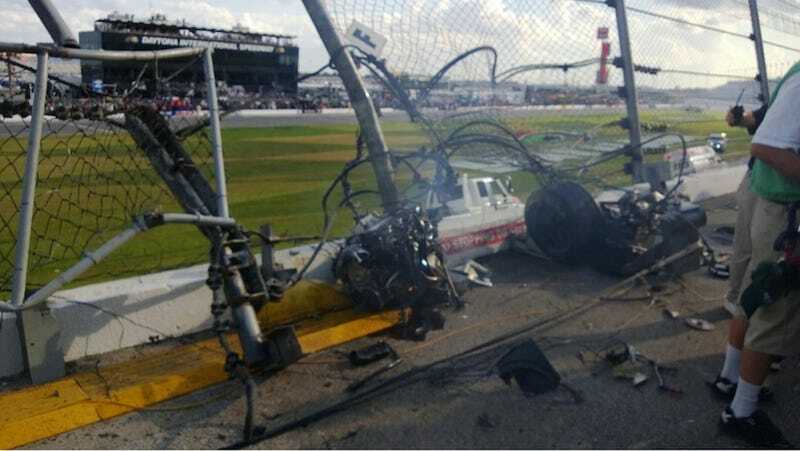 We've collected a sample of some of the most striking images from the terrifying wreck at the DRIVE4COPD 300 at Daytona yesterday from both fans in the stands and professionals at the track yesterday. If you have come across any others please feel free to add them in the discussion below. Top image via.